We’ve been a little quiet lately, we know but, like you, it’s time for us to come out from under those winter woollies and rugs, and pull a chair up to a South Australian food-laden table in the new season sunshine. 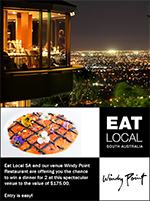 So let us put a spring in your step with news of the latest venues to join us in the Eat Local SA program, introduce our tempting new app, and tickle your competitive streak with the chance to win a delicious dinner for two at Windy Point Restaurant. 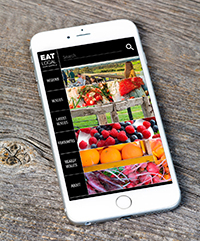 The Eat Local SA team is deliciously thrilled to announce the arrival of the appetising new version of the Eat Local SA app, now in an app store near you. With new features, including the ability to create your own favourites list or find all the Eat Local SA venues near you wherever you are, we know you are going to love it. Download it now and get ‘appy! What’s on the menu at your favourite Eat Local SA venue? It’s time to get your snap happy Spring vibe on. With new season’s produce to inspire chefs and diners alike, we want to know what you are loving on your favourite Eat Local SA venue’s menu. 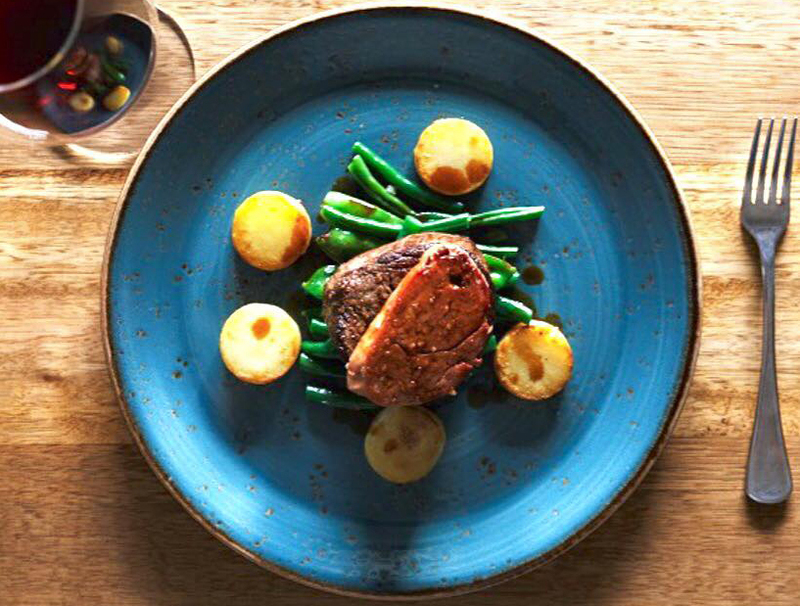 Snap a picture of their menu, specials board or local suppliers list and send it in for a chance to win a delicious dinner for two at the spectacular Windy Point Restaurant. Who’s serving local near you? It’s always so hard to choose… here a few of our spring favourites to consider for your next Eat Local SA experience. 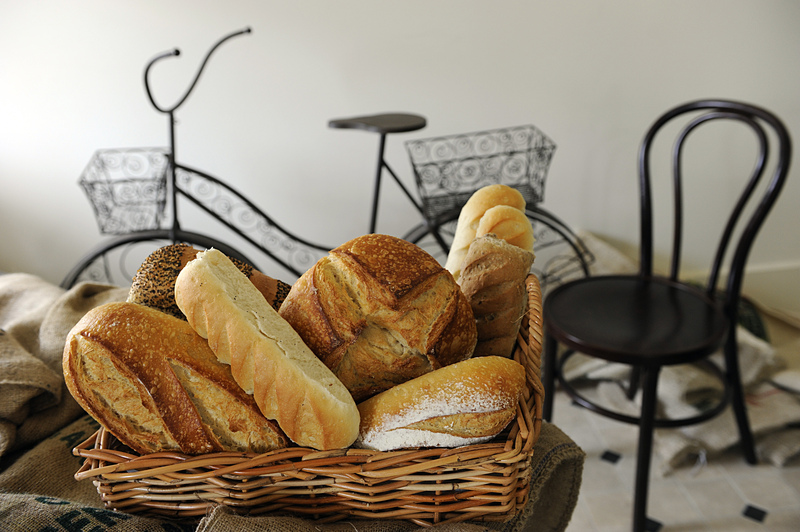 Feel like a taste of France but don’t have time for an overseas holiday? Then it’s time for a trip to the Fleurieu, where newcomer Le Mistral is putting a French twist on Fleurieu produce. Goolwa Pipis join forces with other fresh caught fish and seafood in a rich bouillabaisse with poached saffron potato, fennel, leeks and Andy’s bread. Or you may fancy the Poulet Feneant, starring Finniss-raised Nomad chicken (a step up from free range, nomad chickens are the poultry equivalent of caravanners, roaming new pastures each day for their fill of fresh greens and tasty bugs). These beauties are slow-cooked with truffle sauce and served with baked greens, pickled enoki mushrooms and potato cream. This dish takes gluten free to a whole new level. Wrap it up with an apple tart featuring Willunga almond frangipane and served with homemade vanilla ice cream, and you will be purring Le Marseillaise all the way home. They call themselves the biggest little winery in Clare, and what better spot for a Spring tasting than Eldredge Vineyards? Especially when you can scoop up the likes of London Hill and Evilo Estate condiments and Kelvin Grove olive oil while you’re there. 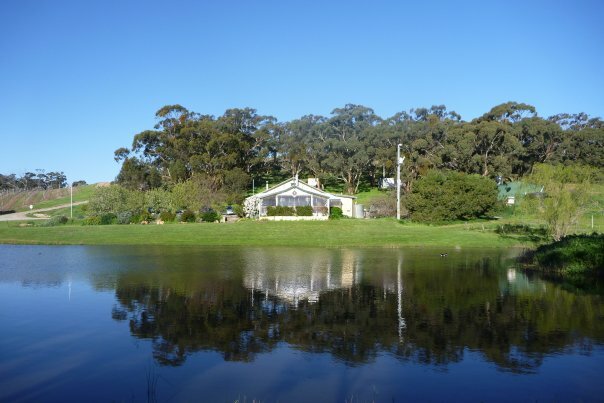 This pretty setting is very popular for functions and the local caterers are just as enthusiastic about the fantastic Clare produce as the winery crew. They are always dreaming up new dishes showcasing the very best of local producers. If it works for caterers busy creating that perfect wedding or party, it’s going to work for you, so drop in, say hi and stock up now! Up in the Adelaide Hills, where fuzzy new green growth is appearing everywhere and appetites may be sharpened by a brisk Spring breeze, The Original Food Co. are busy unpacking and polishing their awards from this year’s Royal Adelaide Show, including a first prize for their white bread and a third for their pasties. Gourmet pies and pastries are why these guys get up (really, really early) in the morning, and you can taste the results that won the awards at any of their three bakeries in Mt Barker, Totness or Littlehampton. You will also find their products being served in places like The Organic Market & Café at Stirling and Clover 183 in Heathfield, and to take home from Gourmet to Go at the Central Market. 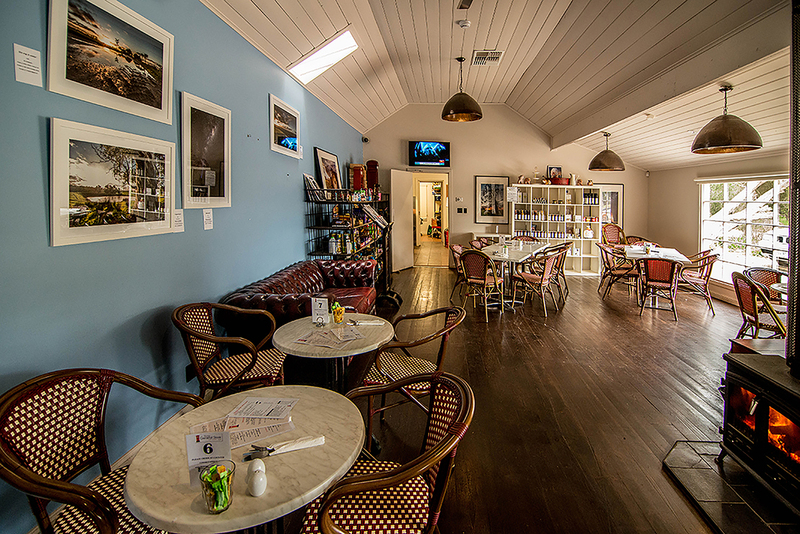 New to Eat Local SA is the Finniss General Store. Recently restored with a nod to the building’s former glory days as the local post office, this is now a comfy café, general store and fodder shop. Next time you need a few comestibles, stop in and stay long enough to treat yourself to a breakfast of Finniss eggs any which way with Heritage Bakery toast, or maybe get your five serves of veggies in with a chicken and leek pie or the house-made veggie burger bursting with seasonal vegetable goodness supplied by Pethick Orchards. Beerenberg Farm, Talinga Grove and Lacewood gourmet ingredients are pantry staples here and the coffee is locally roasted too. Picking up the pet food might just turn into your favourite errand of the week!